We at the South Side Church of Christ believe that the Bible is our only source of authority. We do not hold to any man-made creed or doctrine. We desire to do all things in Bible ways and to call things with Bible names. This includes what we teach about salvation. Jesus came to seek and save the lost (Luke 19:10). The South Side Church of Christ is committed to the same purpose. In a culture that offers many different “paths” to salvation, at South Side we believe that Jesus is the way, the truth and the life (John 14:6). We offer the invitation to be saved based on the pattern taught by Jesus and His Apostles who went into the whole known world teaching what had been taught to them by Christ (Matthew 28:19-20). This link is part of the Restorers, Not Conformers Sermon Series preached in January 2006. Both PowerPoint outline and audio are available above. 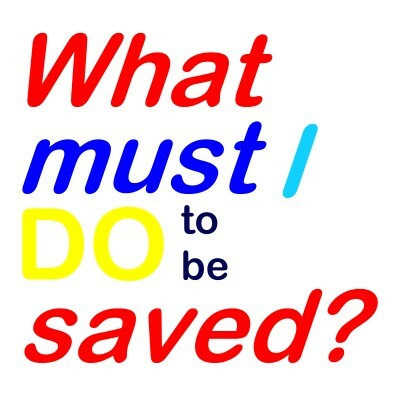 This link is part of the Do I Gotta Sermon Series preached during the Summer/Fall 2006. Both PowerPoint outline and audio are available above. The book of Acts gives an account of people being saved as they heard the Gospel of Jesus Christ. Use the following chart to study those conversions accounts. Chart is scanned as a JPEG.